How to Handle Unreasonable and difficult people? Most of us encounter unreasonable people in our lives. We may be “stuck” with a difficult individual at work or at home. It’s easy to let a challenging person affect us and ruin our day. What are some of the keys to empowering yourself in such situations? Below are ten keys to handling unreasonable and difficult people. Keep in mind that these are general rules of thumb, and not all of the tips may apply to your particular situation. Simply utilize what works and leave the rest. Benefits: Maintain self-control. Avoid escalation of problem. How: The first rule in the face of an unreasonable person is to maintain your composure; the less reactive you are, the more you can use your better judgment to handle the situation. When you feel angry or upset with someone, before you say something you might later regret, take a deep breath and count slowly to ten. In most circumstances, by the time you reach ten, you would have figured out a better way of communicating the issue, so that you can reduce, instead of escalate the problem. If you’re still upset after counting to ten, take a time out if possible, and revisit the issue after you calm down. Benefits: More peace of mind. Reduce risk of friction. How: Some people in our lives are simply not worth tussling with. Your time is valuable, so unless there’s something important at stake, don’t waste it by trying to change or convince a person who’s negatively entrenched. As the saying goes: “You can’t fly like an eagle if you hang out with turkeys!” Whether you’re dealing with a difficult colleague or an annoying relative, be diplomatic and apply the tips from this article when you need to interact with them. The rest of the time, keep a healthy distance. Benefits: Minimize misinterpretation & misunderstanding. Concentrate energy on problem-solving. How: When you feel offended by someone’s words or deeds, come up with multiple ways of viewing the situation before reacting. For example, I may be tempted to think that my co-worker is ignoring my messages, or I can consider the possibility that she’s been very busy. When we avoid personalizing other people’s behaviours, we can perceive their expressions more objectively. People do what they do because of them more than because of us. Widening our perspective on the situation can reduce the possibility of misunderstanding. To be sure, empathetic statements do not excuse unacceptable behavior. The point is to remind yourself that people do what they do because of their own issues. As long as we’re being reasonable and considerate, difficult behaviors from others say a lot more about them than they do about us. By de-personalizing, we can view the situation more objectively, and come up with better ways of solving the problem. Benefits: Save time, energy and grief. Avoid unnecessary problems and complications. How: Not all difficult individuals we face require direct confrontation about their behavior. There are two scenarios under which you might decide not to get involved. The first is when someone has temporary, situational power over you. For example, if you’re on the phone with an unfriendly customer service representative, as soon as you hang up and call another agent, this representative will no longer have power over you. Another situation where you might want to think twice about confrontation is when, by putting up with the difficult behavior, you derive a certain benefit. An example of this would be an annoying co-worker, for although you dislike her, she’s really good at providing analysis for your team, so she’s worth the patience. It’s helpful to remember that most difficult people have positive qualities as well, especially if you know how to elicit them (see keys #5 and 6). In both scenarios, you have the power to decide if a situation is serious enough to confront. Think twice, and fight the battles that are truly worth fighting. Benefits: Establish yourself as a strong problem solver with excellent people skills. Win more rapport, cooperation and respect. When we’re soft on the person, people are more open to what we have to say. When we’re firm on the issue, we show ourselves as strong problem solvers. Benefits: Proactive. Equalize power in communication. Apply appropriate pressure to reduce difficult behavior. Keep your questions constructive and probing. By putting the difficult person in the spotlight, you can help neutralize her or his undue influence over you. Benefits: Disarm unreasonable and difficult behavior when correctly used. Show your detachment. Avoid being reactive. Problem rolls off your back. How: Humour is a powerful communication tool. Years ago I knew a co-worker who was quite stuck up. One day a colleague of mine said “Hello, how are you?” to him. When the egotistical co-worker ignored her greeting completely, my colleague didn’t feel offended. Instead, she smiled good-naturedly and quipped: “That good, huh?” This broke the ice and the two of them started a friendly conversation. Brilliant. When appropriately used, humour can shine light on the truth, disarm difficult behaviour, and show that you have superior composure. In “How to Communicate Effectively and Handle Difficult People (link is external),” I explain the psychology of humour in conflict resolution, and offer a variety of ways one can use humour to reduce or eliminate difficult behavior. Benefit: Leverage direction and flow of communication. How: In general, whenever two people are communicating, one is usually doing more leading, while the other is doing more following. In healthy communication, two people would take turns leading and following. However, some difficult people like to take the lead, set a negative tone, and harp on “what’s wrong” over and over. You can interrupt this behaviour simply by changing the topic. As mentioned earlier, utilize questions to redirect the conversation. You can also say “By the way…” and initiate a new subject. When you do so, you’re taking the lead and setting a more constructive tone. Benefits: Reduce or eliminate harmful behaviour. Increase confidence and peace of mind. How: The most important thing to keep in mind about bullies is that they pick on those whom they perceive as weaker, so as long as you remain passive and compliant, you make yourself a target. Many bullies are also cowards on the inside. When their victims begin to show backbone and stand up for their rights, the bully will often back down. This is true in schoolyards, as well as in domestic and office environments. When confronting bullies, be sure to place yourself in a position where you can safely protect yourself, whether it’s standing tall on your own, having other people present to witness and support, or keeping a paper trail of the bully’s inappropriate behaviour. In cases of physical, verbal, or emotional abuse, consult with counselling, legal, law enforcement, or administrative professionals on the matter. It’s very important to stand up to bullies, and you don’t have to do it alone. Benefits: Proactive not reactive. Shift balance of power. Win respect and cooperation when appropriately applied. How: The ability to identify and assert consequence(s) is one of the most important skills we can use to “stand down” a difficult person. Effectively articulated, consequence gives pause to the challenging individual, and compels her or him to shift from obstruction to cooperation. In “How to Communicate Effectively and Handle Difficult People(link is external),” consequence is presented as seven different types of power you can utilize to affect positive change. In conclusion, to know how to handle unreasonable and difficult people is to truly master the art of communication. As you utilize these skills, you may experience less grief, greater confidence, better relationships, and higher communication prowess. Facts About Tirumala Laddu Prasadam. Laddu, or Ladoo, is one of the most important offering and prasadam given to devotees at the Tirumala Tirupati LordVenkateswara Temple. Tirupati Laddu is a spherical-shaped sweet made of flour and sugar. In fact, Tirupati and the huge laddus are synonymous. It is a customary duty of a devotee returning from Tirupati Balaji Temple to distribute ‘laddu’ as prasadam to his neighbors, friends and relatives. Around 150,000 laddus are made daily. One laddu is given free to each devotee; the number of daily devotees that visit the temple is around 50,000. A devotee can buy extra two laddus – a small laddu of 300 gm costs 25 rupees and big laddu costs 100 rupees. The revenue from the sale of laddu annually is around 190 crore. Each laddu weighs around 100gms and is huge when compared with the normal laddu found in shops. There is a super huge Tirupati Laddu known as Kalyana Laddu and it weighs around 500gms – ½ a kilogram. Single largest laddu made is said to have weighed 32 kg. 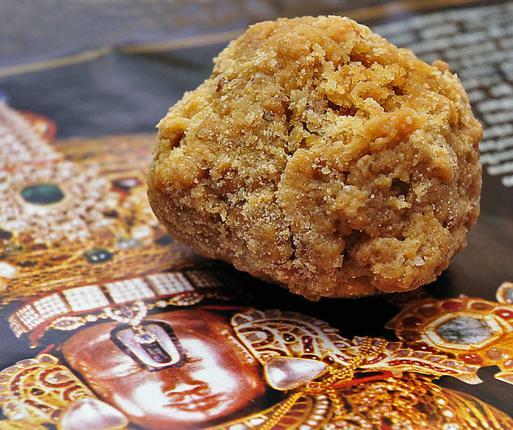 The tradition of Tirupati Laddu is nearly 300 years old. 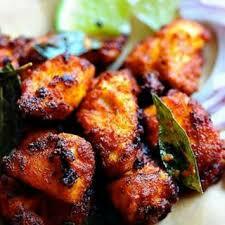 It is prepared by special hereditary priests known as archakas in special temple kitchen known as ‘potu’. Ingredients used in Tirupati Laddu are Besan flour (kadalai mavu), Sugar, Cashew nuts, Cardamom, Ghee, Oil, Sugar candy, Raisins and Almonds. The kitchen has the capacity to produce 300,000 a day. Nearly 620 people, including 270 cooks, work in the laddu and other prasad making units. On a day around 5000 kg of Besan flour is used. Cashew nuts around 600 kg. The ingredients are bought at the auction at the Commodities and Spices Exchange in Kochi. Happy Reading @ JFC Food Consulting LLP. Why it is called chicken 65? What’s the one thing that can be found on the menu of both posh restaurants andkai endhi bhavans? That’s right, it’s the universal favourite: chicken 65. 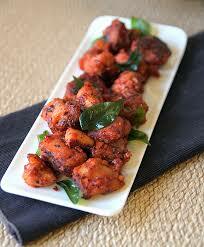 First introduced in Madras, there are several theories as to why the delicious, deep-fried dish has this name. Some theories make sense – like the one that suggests it was the 65 item on a menu. 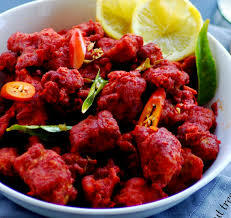 Other stories are downright bizarre: the chicken is marinated for 65 days; it is made from 65-day-old chickens; a chicken is cut into 65 pieces; a chef once added 65 chillies to the recipe to make it super spicy and so forth. In reality, the dish was introduced in 1965 by Buhari’s hotel and hence the name. The popular restaurant has followed the naming convention by introducing Chicken 78, 82 and 90 in later years. 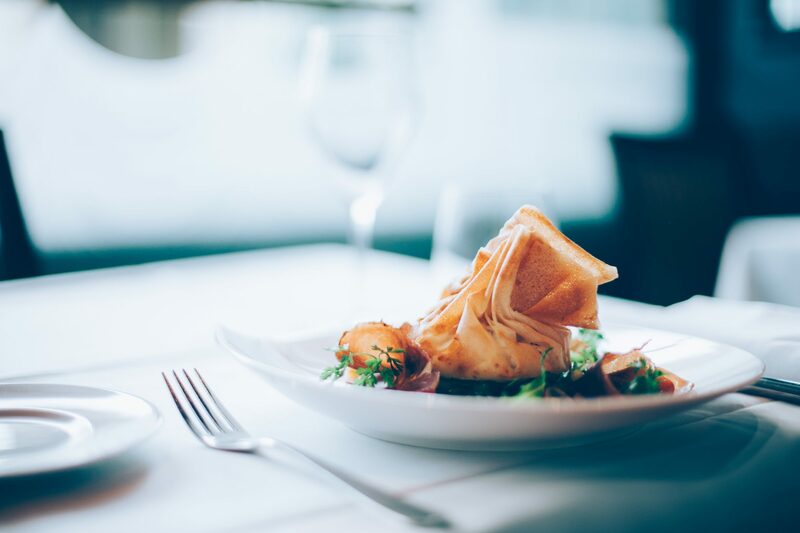 However it came about, the fact remains that it is among the most popular choice for an entrée or a bar snack and that hasn’t changed over the years.